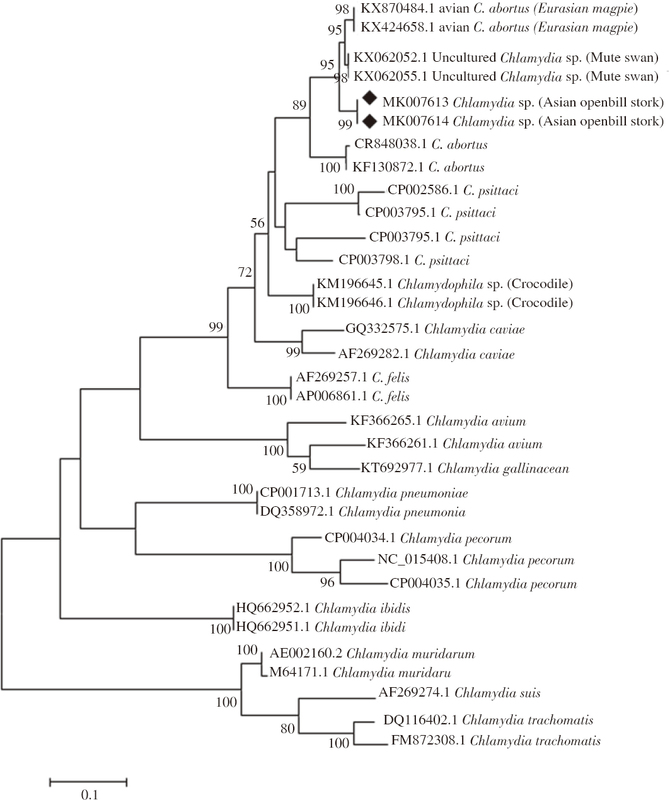 Figure 1: Phylogenetic tree resulting from analysis of deduced amino acid sequences of the Chlamydiaceae ompA gene. The percentage of trees in which the associated taxa are clustered together is shown next to the branches. The tree is drawn to scale, with branch lengths measured in the number of substitutions per site. The sequences analyzed in this study are indicated by a black rhombus.